A beautifully trippy wave pitching over a pink sun with a green sky. 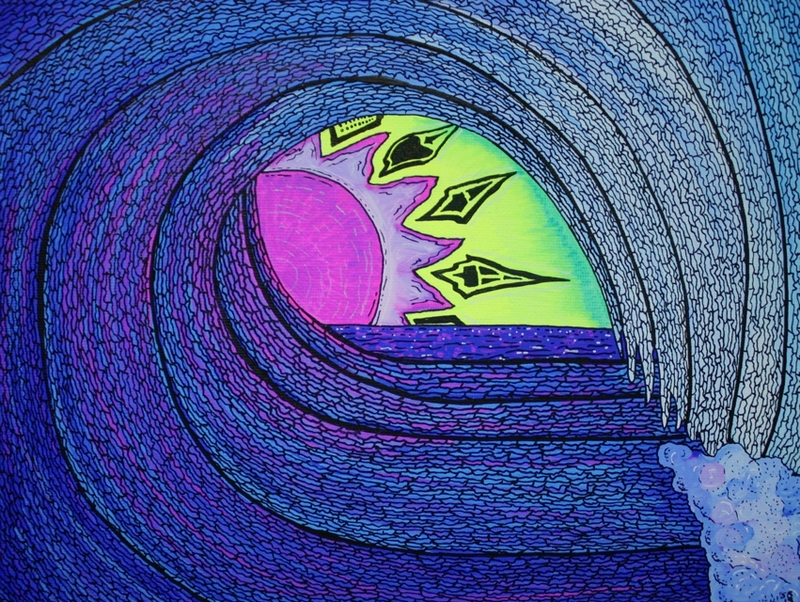 My favorite part of this painting are the pink/purple highlights along the inside of the wave. This view is every surfer’s paradise. There is nothing like getting tubed that’s for sure!